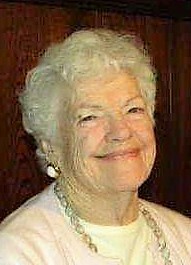 Christine Garvin, 97, of Hickory Avenue, Weedville, PA, went to be with the Lord, Wednesday, November 14, 2018 at Pinecrest Manor of St. Marys. A daughter of the late John Ambrose and Lillie (Rickard) Bundy, she was born on March 28, 1921 in Sabula, PA. On June 15, 1939, she married Myles Garvin, in Rockton, PA, who preceded her in death on April 21, 1977. She was a past employee of Stackpole Carbon of St. Marys and, with her husband, operated the Bennetts Valley Sports Center in Winterburn for more than twenty years until losing her husband. Living most of her life in Penfield, she was very active in the local community, including past Treasurer of the Grange, very active with the Penfield United Methodist Church for many years and many other local social events. Christine is survived by her: children, Crystal (Rick) Garvin of Sabula and Vaughn (Jean) Garvin of DuBois; a son-in-law, Ronald Huff of Weedville; eight grandchildren; seven great-grandchildren; four great-great-grandchildren; and numerous nieces and nephews. Besides her parents and husband, Christine was predeceased by: two daughters, Bonnie Huff and Olivia in infancy; two grandsons, Denny Huff and Michael Bubnik; five brothers, Merle, Daniel, Robert, Glenn and Wallace Bundy; and four sisters, Grace Thompson, Violet Houghton, Clara Duttry and Bertha Yale; leaving her as the last surviving member of her immediate family. A Memorial Service will be held, 2:00 p.m., Saturday, November 17, 2018 at the Ralph M. Geer Funeral Home of Penfield, PA with Reverend Don Smith. Burial will take place next to her husband in the Gardner Hill Cemetery.